California Controller Betty Yee, injured last month in an auto collision suspected to have been caused by a 25-year-old driver under the influence of marijuana, used sharp language last week to demand that the state’s nascent cannabis industry “step up” and address pot-related traffic accidents. In an interview with CALmatters, Yee said pot growers and retailers “grousing” about taxes and regulation need to accept that the legalization of recreational weed carries social obligations, including a need to do something about the increased risk to public safety. The controller, a Democrat campaigning for a second term, detailed how she lost consciousness on the afternoon of Friday, July 13, when the state car in which she was riding was rear-ended by a driver allegedly high on marijuana in the Posey Tube connecting Alameda and Oakland. 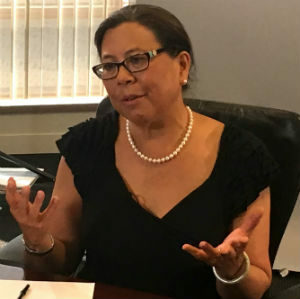 Yee told CALmatters that she, her husband and their driver, a California Highway Patrol security officer, were in standstill traffic when their vehicle was hit by a Nissan sedan moving 40-55 mph. The CHP later reported that the 3:25 p.m. crash shoved the state vehicle into the back of a nearby Toyota. “The last thing I remember seeing before losing consciousness was the floor of the car as if I were suspended looking down,” said Yee, recalling how the state vehicle was lifted from behind. The driver, identified as Aaron George of West Oakland, suffered major injuries, and was booked in Alameda County on a charge of driving while intoxicated and causing an injury, the CHP said. He has since bailed out of custody. Yee said that after the initial impact, he tried to maneuver out of the tunnel,only to hit Yee’s vehicle a second time. “I don’t want to be a poster child,” the controller said, but she noted that one reason she opposed Proposition 64, the 2016 initiative that legalized recreational marijuana, was that she felt the regulatory framework was incomplete and lacked a test to determine whether a user was too stoned to drive. She said the cannabis industry should work with law enforcement to develop a test for unsafe levels of marijuana for motorists, and wondered whether the hassles of legitimacy were giving the industry second thoughts about legalization: “There might be a move to get this all pushed underground again because they don’t want to deal with it,” she said. A spokesman for the industry says that’s simply false. The trend in some states toward cannabis legalization has generated national concern about the potential for impaired driving. A study released this year by the Governors Highway Safety Association found that some 44 percent of drivers killed in crashes in 2016 who were tested afterward had drugs in their system, up from 28 percent in 2006. Yee cited research from other states that showed an uptick in the number of crashes involving drivers who tested positive for marijuana. Colorado reported 51 cannabis-involved fatalities in 2016, up from 19 in 2014 and 2015. However, the reports were only made uniform in 2016. She said she was badly bruised in the crash and continues to suffer back spasms and headaches and has to limit her time in front of computer screens. While California does not have a defined cutoff level for drugs in a driver’s blood as it does for alcohol, the state does rely on officers to use their observations, perform field sobriety tests and blood tests to prove impairment. 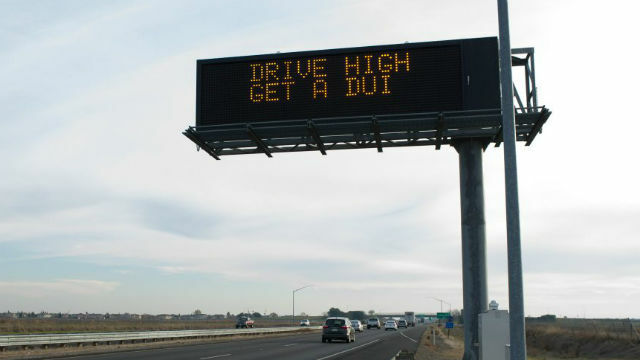 The CHP has estimated the Bay Area could see a 70 percent increase in driving under the influence of marijuana if the current rate of DUI arrests continues through the end of the year. The highway patrol is working with the Center for Medicinal Cannabis Research at UC San Diego, to evaluate the effects of cannabis on drivers. “The CHP hopes this research, and other ongoing research, will provide additional insights into how cannabis impairs driving,” said agency spokeswoman Fran Clader. There’s no timeframe, however, for finishing that study. CALmatters reporter Ben Christopher contributed to this report. CALmatters.org is a nonprofit, nonpartisan media venture explaining California policies and politics.